Starboard Galley Restaurant provides the greater Newburyport MA area with private function rooms for any occasion: birthdays, graduations, bachelorette parties, weddings, retirement parties, etc.. 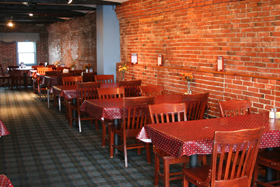 If you are planning a party in Newburyport, please call us at 978-462-1326 to book your function room today. Starboard Galley also provides offsite catering services for the greater Newburyport area and the North Shore. Please inquire about our famous private charter boat excursions along the Merrimack River and the Seacoast of MA & NH. For more information, please call 978-462-1326.